The Irish Social Enterprise Network supports work with the Department of Community and Rural Affairs and the Social Finance Foundation on bringing a National Strategy to Social Enterprise in Ireland. There have been three sets of workshops as part of the strategy so far in Dublin, Athlone and Cork. They have been on the themes of Networks, Business Supports and Finance. As part of the strategy, there is an open call for submissions from all members of society but in particular, social enterprises, to contribute to the conversations and give their experience and opinions. As you will be aware, Mr. Michael Ring, T.D., Minister for Rural and Community Development, has announced a research partnership between his Department and the Social Finance Foundation with a view to producing research outputs which will support the development of an Irish social enterprise policy and implementation roadmap in early 2018. This consultation is open until Friday December 15th at 5pm. 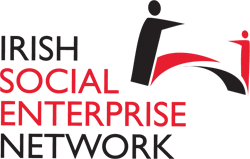 We at the Irish Social Enterprise Network have drawn up some support notes to assist you in parts that The Social Enterprise Strategy. You can download our PDF response below. Make sure to respond by 15th December 2017.